Did ye take me crumpet? To my mind, any window to the past is a delight, be it a 19th century read, or old-world architecture and eats. While staying at the Mandarin Oriental will be out of my price range for, oh, the rest of my life, high tea at the Mandarin Oriental is a wonderful occasion that, when planned for, needn’t break the bank. Heathcliff is upstairs behind a curtain. 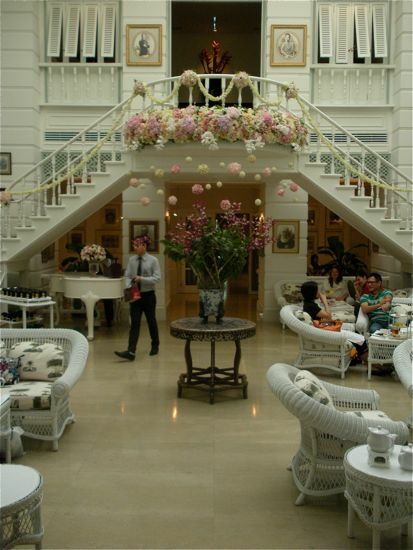 Served in the Author’s Lounge, high tea is memorable even just for checking out the incredible room it is served in. 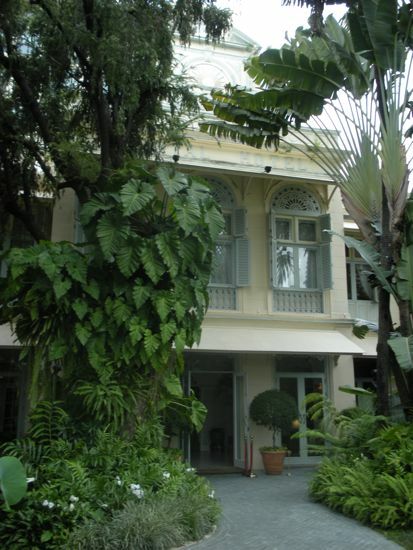 Set in the original Mandarin Oriental building, which was built in the 1870s, this wing allows you to imagine a Bangkok that was visited by writers like Noel Coward, Graham Greene and Somerset Maugham — they and many others were guests in this very wing. Beautifully decorated, the walls of the Author’s Lounge display throwbacks to the era, with fabulous black and white photographs of Thailand and the Thai royal family from the 19th century. 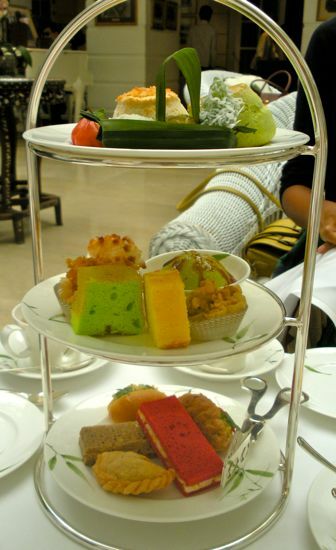 If you stay for high tea, you can choose between traditional or Asian sets; both include pastries, puffs, sandwiches as well as delicious teas — though I’d say go for the Asian to get Thai flavours in a totally new context. The sets are 1,050 baht, but can be shared and are enough food to stand in for a meal (or two). Opting just for a pot of tea is a good baht-saving option if you’d just like to linger in the room for a little while. The least sweaty I have ever felt in Thailand was in this room. For literature or history lovers, even if tea is not a possibility, the Author’s Lounge is worthy of a visit just to absorb the architecture and peek at the library with its photos and memorabilia related to the famous literary guests. This a look back at the Western experience in Bangkok, long before Khao San Road and fisherman pants could have been foreseen. A memorable visit, whether you stay for tea or not. The Mandarin Oriental is located on Oriental Avenue right on the Chao Phraya River. Take the BTS to Saphan Taksin and transfer to the free Mandarin Oriental shuttle boat from the Saphan Taksin pier. Smart casual attire is requested (no flip flops — wear that clean shirt, the one you’ve been saving).